"The Lord is in control of everything. If I give over control to Him and allow myself to be carried along in the stream of Providence, I will see how the Lord is providing for me and my happiness." 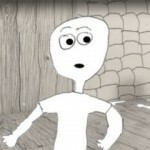 "When I’m anxious, this teaching helps me to sort out my thoughts and emotions. On reflection it sometimes is very obvious which thoughts are not from heaven, and this helps me to recognize and reject the lies and distortions of the hells." "This verse has helped me see a way forward when it has been hard to move on from grief and loss. The first part is to trust that the Lord will be with you through your loss. The practical advice to “do good” is especially healing—when I engage in an activity which helps others it helps me realize that I still have a use to perform, and it definitely feeds my soul." "The Lord is always with me, in dark times and in happy ones." "How close the Lord is to us, really powerful in times of self-doubt and inner turmoil." "Some of the most comforting words of peace and promise at the time of separation from a loved one." "The whole book of Job is worth reading but I especially like chapter 38 when God answers Job. It gave me a way to accept and cope with my sorrow. It made me realize that I must trust the Lord?s providence and not expect to understand or have an overview of everything that happens. I am not God, I must accept that He takes care of things." 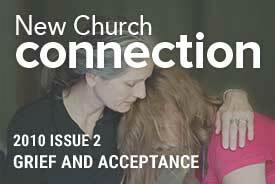 Free email notification of each new Connection Magazine issue. Learn more about Connection Magazine, and explore other issues. "Prayer comes from truth inside you, and you are continually at prayer when you live according to that truth." 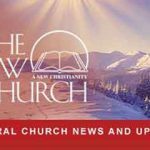 The New Church shared a link.